Could You Have a Narrow Spinal Canal? The spinal canal is the space within the spinal column. The delicate spinal cord and nerves extend through this space. 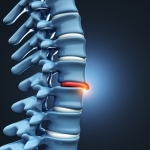 If your spinal canal is narrower than usual, you have a condition called spinal stenosis. You may need to see a spine doctor serving Miami to get an official diagnosis, and to learn about your treatment options.